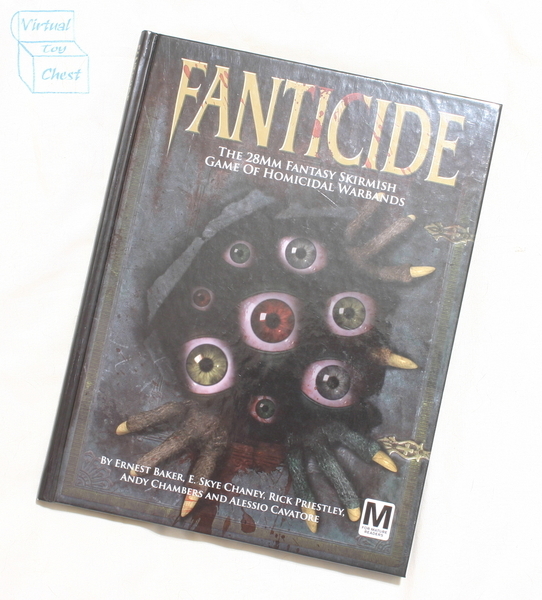 Fanticide is the first game published by Alien Dungeon and River Horse Studios. It is a Fantasy skirmish game set in the world of Nowhere. As you can guess from the name of the setting, the game is wonderfully tongue and cheek. It also pays homage to previous settings such as the Wizard of Oz, and Dungeons and Dragons. The rules for the game are not your standard fare. The game plays quickly, and I found the rules refreshing. The game uses a special deck of cards to determine which models may activate. This adds a random element to the gameplay, and gives the game the hectic feel of combat. 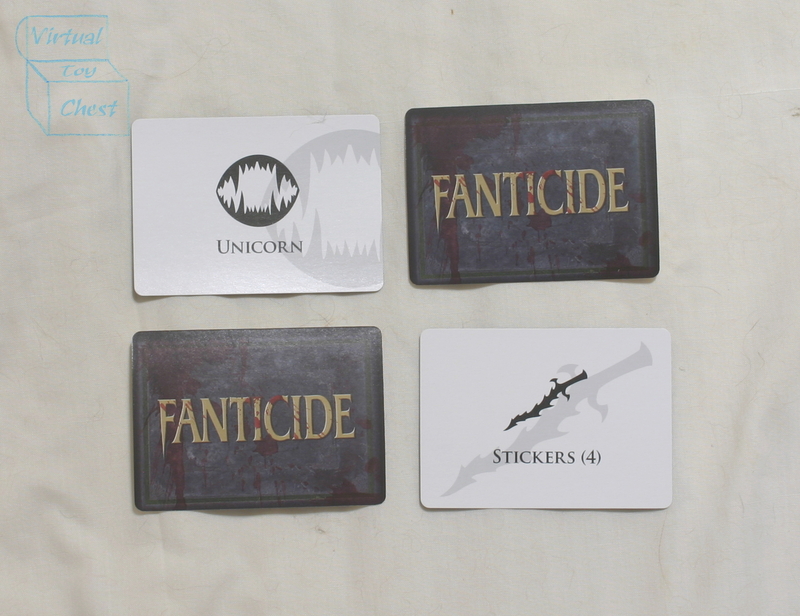 The deck also contains event cards, such as the dreaded unicorn, which also add to the overall flavor of the game. 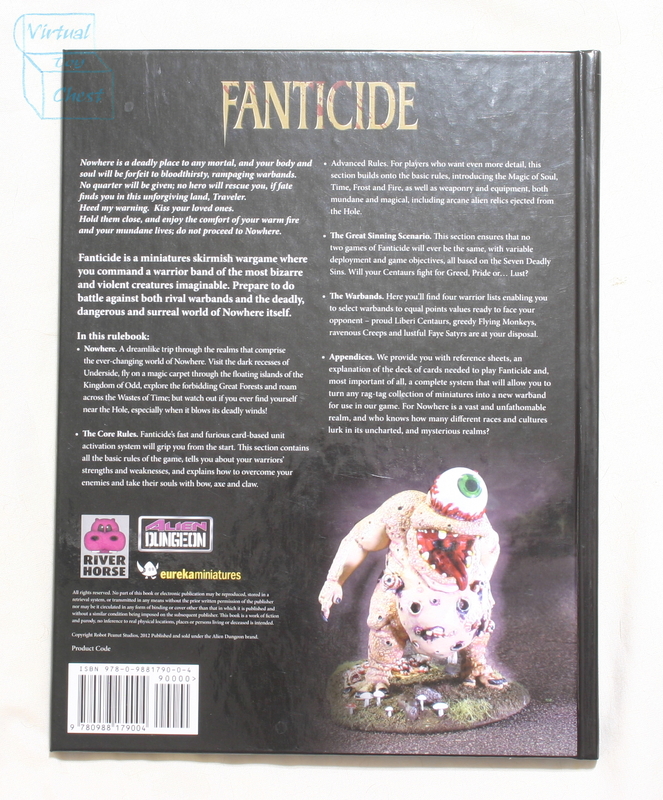 The models for these factions are made by Eureka Miniatures. Overall, they are simple to assemble, and inexpensive. The game is very much about being played, and even the models are designed to allow you to put them on the table quickly. In addition to these factions, the game has rules to design your own units, and to incorporate any miniatures into the game. So if you want to add some martians to the mix, write up the units and bring them on!